Xiaomi and Samsung launched their flagship mobile devices on wednesday. Samsung who pre-book the Galaxy S8 or Galaxy S8+ will get a wireless charging accessory worth Rs. 4,499 free with their hands. Main highlights of the Xiaomi Mi 6 is its four-sided 3D curved glass with an ultra reflective mirror finish being offered in Blue, Black and White options. Xiaomi has also paid a lot of attention to symmetry. 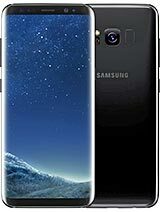 Samsung believes that removing the home button will help Galaxy S8 series offer a more immersive viewing experience while will also make multi-tasking more convenient and offers Corning Gorilla Glass 5 on both the front and back offering a premium finish. Samsung’s Galaxy S8 and Galaxy S8+ are powered by an octa-core Qualcomm Snapdragon 835 processor (2.35GHz quad-core + 1.7GHz quad-core). Samsung says the Galaxy S8 and Galaxy S8+ feature the “industry’s first 10nm processor, enabling heightened speed and efficiency. Xiaomi at rear sees a pair of 12-megapixel lenses, one wide angle and one telephoto that allows you to have 2x optical lossless zoom. It features a 4-axis OIS stabilisation system so you won’t have to worry about shaky hands getting in the way of that perfect capture. The front camera is 8-megapixel with great selfies. Samsung says that in landscape mode, Galaxy S8’s 18.5:9 display will be perfect for 21:9 movies, and also claims the Galaxy S8’s display offers 36 percent more viewing area compared to the Galaxy S7. Screen resolution of Quad HD+ (1440×2960 pixels). Galaxy S8 display with 5.8″ and S8 plus with 6.20″. Xiaomi comes with full HD display. The screen has retained its 5.15″ size and 1080p resolution. Samsung Galaxy S8 and S8 plus comes with 64GB of ROM, 4GB RAM. But there is slight variation in battery which is powered by 3000mAh and 3500mAh. It comes with wireless accessory for charging. Xiaomi Mi6 also comes with 64GB ROM but the RAM is 6GB efficiency and powered by 3350mAh. 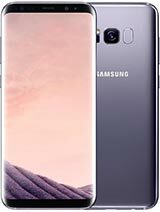 Samsung Galaxy S8 comes to India a price of Rs. 57,900 (MOP) and will be available in Midnight Black and Maple Gold colour options, while the Samsung Galaxy S8+ is priced at Rs. 64,900 (MOP) and will be available in Midnight Black, Coral Blue, and Maple Gold colour variants. 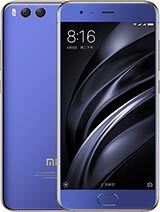 Xiaomi Mi 6 Priced at CNY 2,499 (roughly Rs. 23,500) for 64GB storage . It comes with fingerprint sensor under the glass in front. Both Galaxy s8 and Mi comes with Bluetooth 5.0 is the next generation in Bluetooth technology. Bluetooth 5.0 gives 4x the range, 2x the speed and 8x broadcasting capacity compared to the previous generation. Video 2160p@30fps, 1080p@30fps, 720p@120fps 2160p@30fps, 1080p@60fps, HDR, dual-video rec. 2160p@30fps, 1080p@60fps, HDR, dual-video rec.